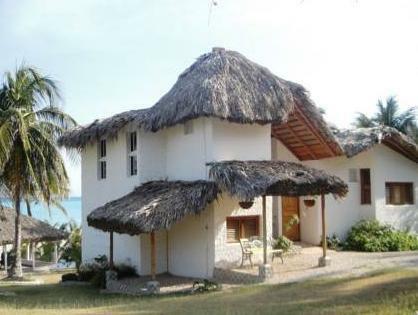 ﻿ Best Price on La Mami River Beach - Caribean House in Los Patos + Reviews! Overlooking the River Los Patos in Paraiso, this suite is located in a private villa with direct access to the river and Caribbean Sea. It features tropical gardens, a surfing school and an area themed around local coffee. Free Wi-Fi and a flat-screen TV with satellite channels are provided in this split-level suite. La Mami River Beach - Caribbean House is decorated with bright colour accents. It features a seating area with a sofa bed and a kitchenette with a sink, fridge and dishes. The concierge staff can arrange various activities including visits to coffee plantations, private surfing lessons and trips to Las Aguilas Bay, Oviedo Lagoon and Lake Enriquillo. La Mami River Beach also provides free laundry services. Jaragua National Park is a 40-minute drive from La Mami River Beach-Caribean House. Polo Magnetico is a 90-minute drive away, while Las Americas International Airport is 3 hours’ drive away. Upon check-in photo identification and credit card is required. All special requests are subject to availability upon check-in. Special requests cannot be guaranteed and may incur additional charges Please inform La Mami River Beach - Caribean House in advance of your expected arrival time. You can use the Special Requests box when booking, or contact the property directly with the contact details provided in your confirmation. Payment before arrival via bank transfer is required. The property will contact you after you book to provide instructions.